It seems like snoring has become more of an epidemic than any of us have realized. At CES, Sleep Number revealed its IQ bed that lets bedmates silence a snoring partner. But now there's a pillow that can stop a deafening snorer all by itself. 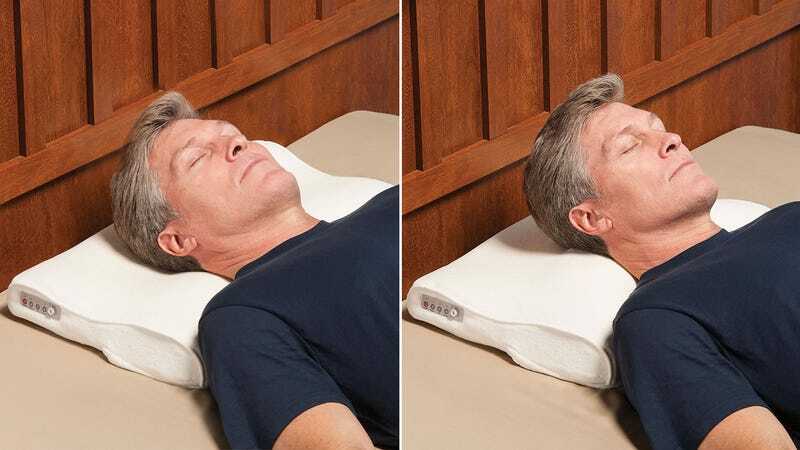 Using a built-in microphone with adjustable sensitivity, the pillow listens for loud or soft snorers and then automatically inflates an internal air bladder which increases the pillow's height by up to three inches. This in turn has the effect of gently waking the snorer so they roll over or simply move their head to clear their airways.